The Northeast Texas Beef Improvement Organization (NETBIO) held its March Pre-Conditioned Calf and Yearling Sale at the Sulphur Springs Livestock Commission Wednesday, selling 4,799 head of cattle. David Fowler, co-owner of the livestock market center, said that a lot of the cattle in this sale were purchased to go to grazing and the demand was good. He said about 1,500 head of the nearly 5,000 were sold to buyers on the Internet. Fowler said a total of 232sellers consigned cattle to the sale. The 29 cattle buyers paid an average of $822.96 per head for the pre-conditioned cattle. Some new feed year buyers were on hand to purchase some of the cattle. Fowler commended the employees of the Sulphur Springs market center for doing a good job of preparing and producing the sale. “They always do a great job with the cattle and in the office.,” he said. 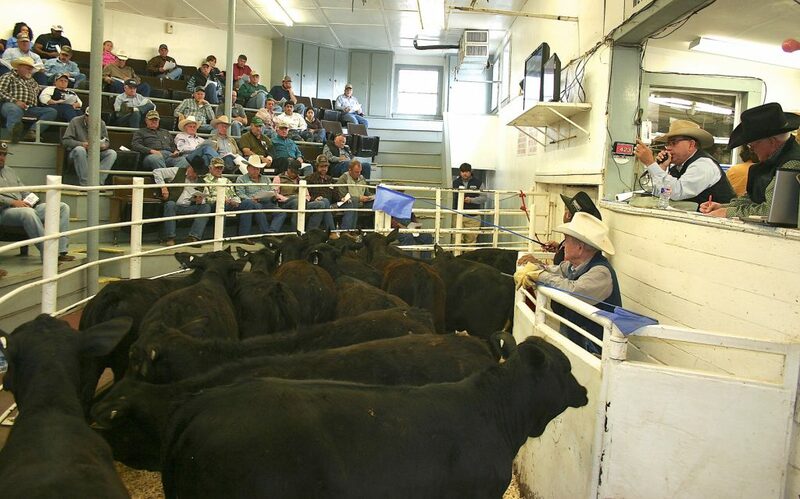 The next sale will be held at the Sulphur Springs Livestock Auction on Wednesday, May 15. The weaning deadline for calves consigned to that sale is March 31. The last date for booster shots is April 15. That sale will be followed by sales on July 17 and September 18. Fowler encourages producers who are getting cattle ready for one or more of those sales to get their consignment sheets in early and pick up their ear tags. The NETBIO Pre-Conditioned Stocker and Feeder Calf Sale gives producers a market to offer their pre-conditioned calves and yearlings in load lot quantities. NETBIO holds seven pre-conditioned calf sales per year, which is the marketing arm for members of the organization.